Ridley Scott is already hard at work on the follow-up to Prometheus. Make that follow-ups, because the English director has made it very clear that he wants to explore the franchise and its cavalcade of characters and beasts in much more detail over a number of films. In fact, he’s now revealed the exact question that he will explore in his upcoming Alien adventures. I was amazed that in the 3 that followed that no-one asked the question, ‘Why the Alien, who made it and why?’ Very basic questions. So I came up with the notion of Prometheus 1, which starts to indicate who might have made it and where it came from. Ridley Scott wasn’t done divulging details about his Prometheus sequels/Alien prequels, which will begin with Alien: Covenant, due to start filming in Australia next year. 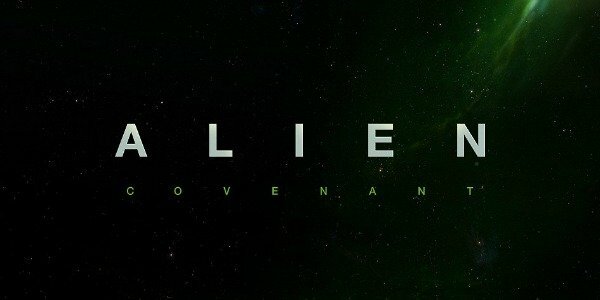 The legendary British filmmaker insisted that Covenant will be a "very complex story" while it will also be the "next evolution directly connected with the first one." It will pick up where Prometheus, the 2012 prequel to the Alien franchise that was met with a relatively mixed response but did help mainstream Hollywood realise just how spectacular Michael Fassbender is, left off. Ridley Scott failed to reveal if Michael Fassbender’s David, the android that you really don’t think you can trust, will still be in two pieces during Covenant though. But if he’s looking for some light comedic relief to buoy up Alien: Covenant then it’s something that he should genuinely consider. It would be Weekend At Bernies meets, well, Alien. While out promoting The Martian earlier this fall, Scott sent the Alien fan-base into a bit of a frenzy with his revelation that not only was his next film going to be a Prometheus sequel, but that there were also plans for two further films that would then link up with his 1979 masterpiece, Alien. He recently revealed that there are not just two more movies planned, but three. Sir Ridley Scott admitted that the plan is to shoot the next Prometheus/Alien film in Australia, and production is set to begin on the first in the middle of March, ahead of Alien: Covenant hitting screens on October 6th, 2017.